Check out these interesting fashion drawings from Paul Poiret (these are actually my studies of his drawings), a very influential designer from the turn of the century. 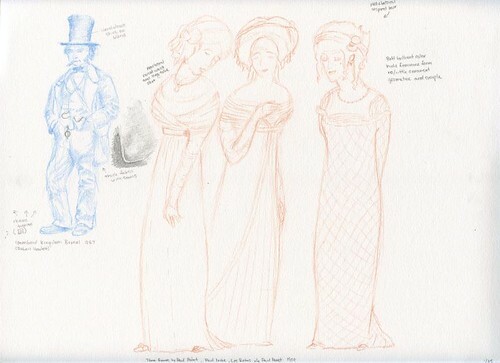 I love the way he's distorted the figure, both with the drawings and the cut of the dresses. update: I've since discovered that these drawings are of Paul Poiret's designs, but were drawn by Paul Iribe for a catalogue called Les robes de Paul Poiret racontées par Paul Iribe.